For owners and managers of public spaces, accessibility is a key concern. Nobody wants to make their location unusable for people through oversight or careless design, but, sadly, it does happen. 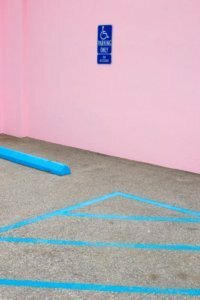 This affects both disabled people’s experience and the location-owner’s reputation. One solution to this ongoing problem is Indoor Positioning Systems (IPS). What is this? Over 7 million Americans are either blind or visually impaired, and this is only set to increase as diabetes-related sight problems arise due to obesity. Clearly, more and more emphasis will be placed on accessibility for visually impaired people as the issue becomes more widespread. In a lot of countries, strict regulations exist to ensure disabled people are accommodated in everyday environments. For example, public transportation operators tend to provide ramps or systems that help those with sight problems navigate the world. On the street, crossing points feature audio cues that help users cross safely even if they can’t see the lights fully. Another helpful tool for the visually impaired is contrasting colors on signs. This makes it much easier for people with partial sight to read important information, while braille is a major benefit too. However, not everyone with poor vision can read braille, and owners of public spaces must take steps to accommodate the visually impaired in multiple alternative ways to meet diverse demands. Tactile markers on maps and signs are an effective tool, but they aren’t perfect: users may be unsure where these markers are leading them or struggle to remember certain details (such as a long route or step-by-step directions). Thankfully, cutting-edge devices (smartphones and tablets) continue to offer visually impaired people more advanced accessibility options. Text-to-speech functions read the information presented on-screen in an audio format, helping users browse sites and use their phone’s features. Our app, for example, is an app for visually impaired people that provide navigational information in various indoor and outdoor spaces. 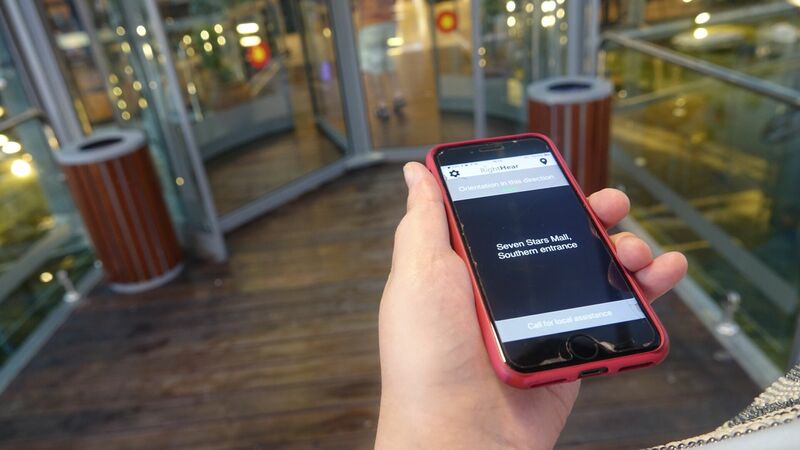 The app acts as a virtual directory for users, directing them through locations with audio cues (such as ‘reception is 20 feet ahead to the left’ or ‘exit is 50 feet ahead’). Users can point their phone in a specific direction to learn what’s in front of them. RightHear is applying innovative thinking to everyday technology, demonstrating just how effective mobile devices can be in making life easier for visually impaired people. GPS technology is now a mainstay of mobile devices. You can use a navigation app to find shortcuts, explore unfamiliar cities and more, all with real-time directional information. This is a fantastic resource for visually impaired people, but there’s a major obstacle: it doesn’t actually work inside or near buildings. People depending on GPS-enabled apps to find their way around are at a real disadvantage once they’re outside of the range. Indoor Positioning Systems are a way around that. If public spaces are equipped with this technology, they will be able to help their visually impaired visitors enjoy more convenient accessibility. While IPS is similar to GPS, it utilizes Wi-Fi or Bluetooth instead of satellites (along with the device’s own internal motion sensor capabilities). 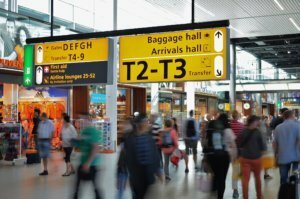 People using IPS are given multiple layers of information to aid navigation, such as floor numbers, latitude, and longitude, points of interest, routes and more. IPS comes in different types, with magnetic positioning, image-based assistance using a device’s camera and more. IPS can work in collaboration with other tactile aids to maximize the results for visually impaired people. This means that touch and audio will complement each other and make navigating indoor locations far easier, offering greater independence and flexibility. IPS technology will continue to become more and more beneficial for businesses, organizations and (of course) the people who need it most over time. It’s a worthwhile investment and can mark those locations/groups embracing it as being progressive. Have you tried IPS technology? If so, what results have you seen? 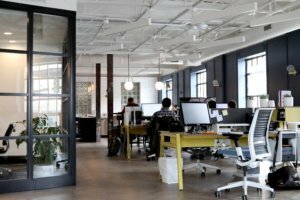 Workplace Accessibility: What is it and Why is it Essential for Your Small Business? How can you Make your Business Accessible to People with Disabilities? How Can You Make Your Property More Accessible for Visually Impaired People?